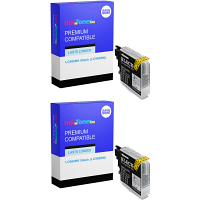 Brother MFC-297c Printer InkNTonerUK are an economical retailer via the web, and YOUR NEW beneficial source of your NEW Brother MFC-297c ink cartridges - Procure your NEW Brother MFC-297c ink cartridges from us, and put your MFC-297c printer to its full potential, displaying the highest quality results, with your NEW CHEAPER and long-lasting Brother MFC-297c ink cartridges! 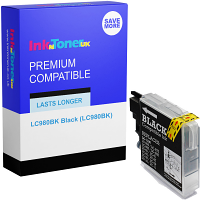 ALL products that are acquired at InkNTonerUK are appreciably low in cost, helping you to put more of your money towards more of the favoured things you desire! 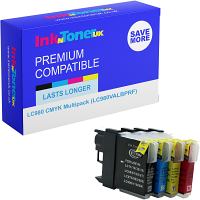 That time for maintenance of your Brother MFC-297c printer is a more pleasant and rewarding occasion overall - Join our broad and forever expanding clientele, and purchase your NEW cost-effective Brother MFC-297c ink cartridges today! Overall, the Brother MFC-297c printer is a commendable 'All-in-one' printing device, NOW utilizing your NEW Brother MFC-297c ink cartridges to generate nothing but premium quality prints/scans/copies & faxes every time! - Practical dimensions of 390 x 375 x 180 mm (W x D x H) weighing at just; 7.8 kg make the Brother MFC-297c printer an IDEAL device for usage on your desk at work, and for use in your home-based office...However, its advantageous functions give it a purpose for every one! 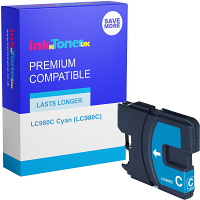 - All in which this product delivers can NOW be put to MORE of the usage you NEED, as thanks to shopping at InkNTonerUK, the ability to obtain as many NEW Brother MFC-297c ink cartridges as and when required is simple thanks to the money-saving fees we charge! 'Bookmark' this page, for that easy one-click method of being directed right here, any time you obligate your NEW Brother MFC-297c ink cartridges!